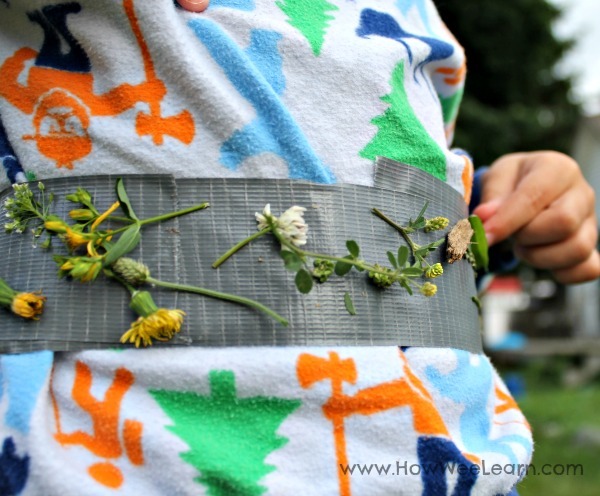 Nature Walk Ideas - Simple Nature Belts! It has been a little while since I have last written about our nature walks, so I thought I would share one of our newest nature walk ideas. 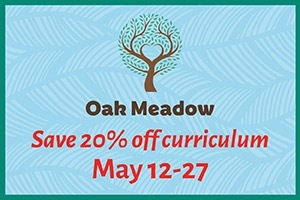 If you are a regular here you may know that we are moving in one week, so we are (partly) packed and trying hard to keep little ones busy outside most of the day. I was trying to think of some new nature walk ideas for my little ones, not that they really wanted them – they love simply exploring and doing some of our regular nature walk ideas for kids. But we have really gotten into collecting treasures this spring, and that typically means my little ones find treasures and I carry them. And we are not just talking one or two. Hundreds of treasures (at least very close to it I’m sure). We have brought bags and used pockets before, but I stumbled upon this idea over on Pinterest to use masking tape to make nature bracelets. I thought we would kick it up a notch and make full on Nifty Nature Belts. You will notice Sam is in his pajamas. 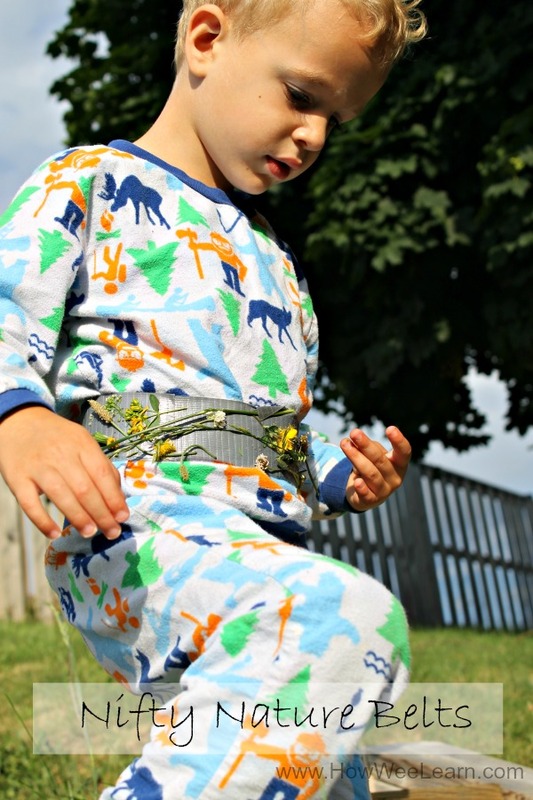 Reason being, I happened to mention about my nifty nature belt idea when he woke up in the morning – he was so excited he could not possibly wait! 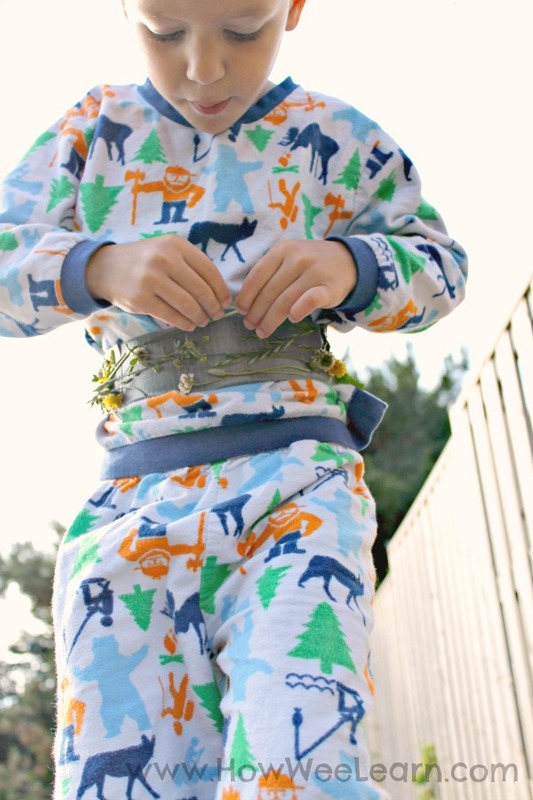 So we made a nifty nature belt to go with pajamas. Rather stylish, right? 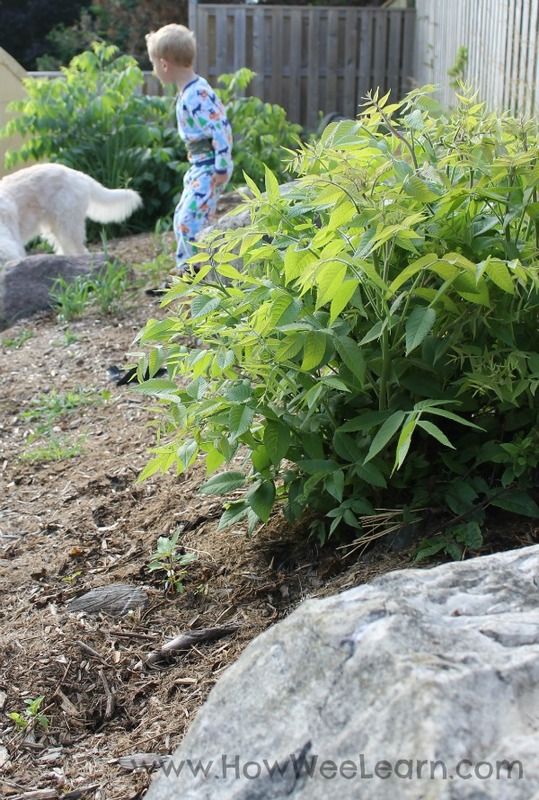 We didn’t even make it out of the backyard – it was a backyard nature walk. 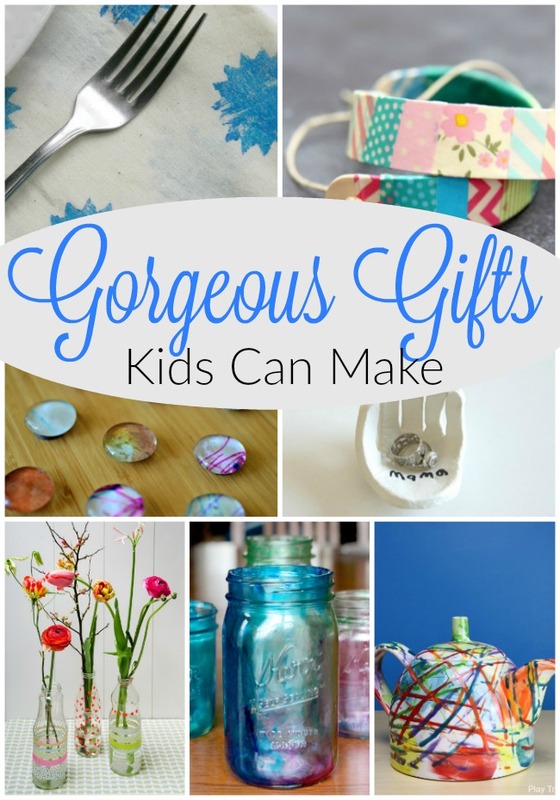 I opted to use duct tape because I knew my little explorer likes to find a lot of treasure. And some of that treasure is rather heavy – like stones and sticks. The duct tape worked like a charm. He attached big leaves, little leaves, grass, flowers, mulch, sticks, and pebbles to his nature belt and it all stuck without a problem. And he was out there exploring and collecting for a very long time. 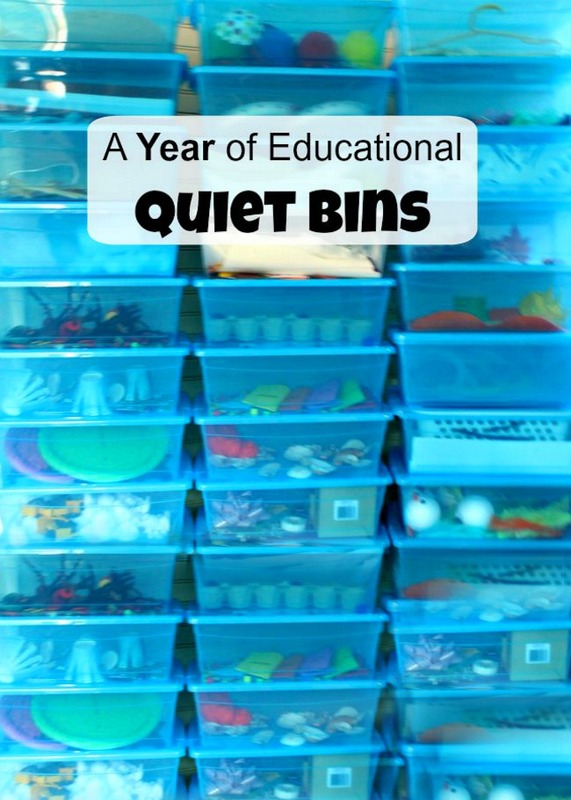 I think I will try bringing this along on our next nature walk to see if the duct tape can take my role as “holder of treasures” … that would sure be nifty. What an adorable idea, and Sam is adorable too!